About a week ago we announced to our kids that they would be getting another sister or brother soon! This is baby #6 to join our family here on earth and we are all so excited! What a wonderful season we are in! And what a perfect time to gather the kids around and teach them about this little pre-born life. We want them to know that this child is precious to God, to be cherished and respected by us. We want them to celebrate in God’s plan for this child and for each one of them. 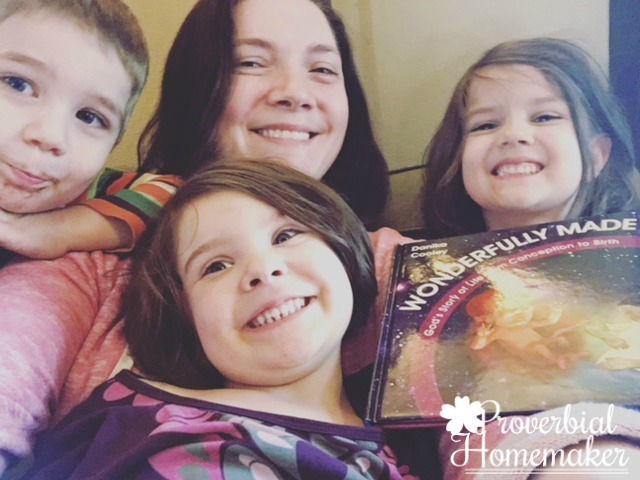 So we snuggled up on the couch (it actually resembles more of a dog pile…) and opened the beautiful pages of our new book Wonderfully Made: God’s Story of Life from Conception to Birth (Christian Focus 4 Kids, 2016) by Danika Cooley. Let me tell you, it was just pure awe and joy as they watched, listened, and soaked up every single part. 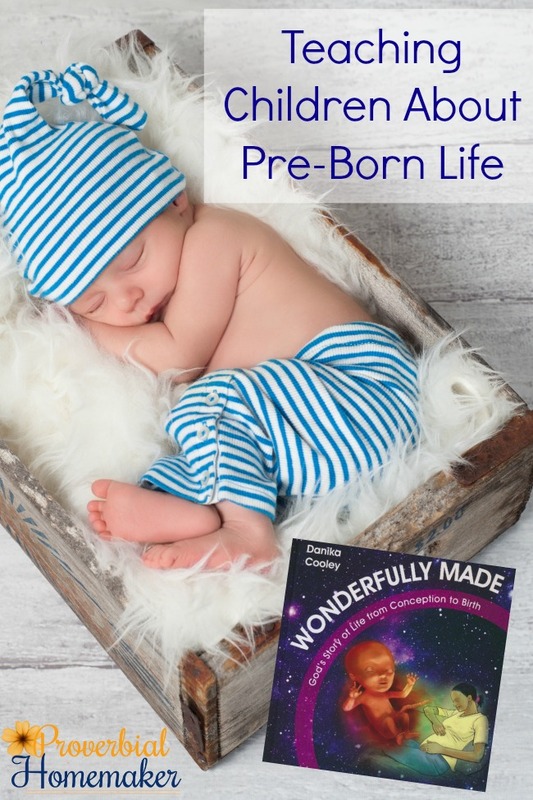 Wonderfully Made tells the story of a child’s life starting right at conception. Although it is biologically accurate and descriptive in each stage, it is told is such a respectful and gentle way that you won’t need to worry about too much information being shared. The story is told from the perspective of a mom who is explaining to her child all about how they grew in the womb and what life was like there. The book goes through the developmental stages of a baby, always pointing to God as the creator who is intimately involved in each step. There are some really unique things that we love about this book. The illustrations are fascinating, showing the baby in each stage of development along with an illustration of an older child, often doing the same things such as extending a hand or smiling. My children enjoyed commenting on all the differences and similarities and talking about how fun the babies were even so early on. I especially appreciate the scripture in each spread, speaking to Gods’ heart for children and highlighting the value of pre-born life. I found myself getting choked up in several places, which always makes the kids pay extra attention! I also loved that Wonderfully Made tells the gospel message at the end of the book, explaining that we are born again when we trust in Christ and are adopted into God’s family. Wonderfully Made is ever pointing to our Creator and Savior. 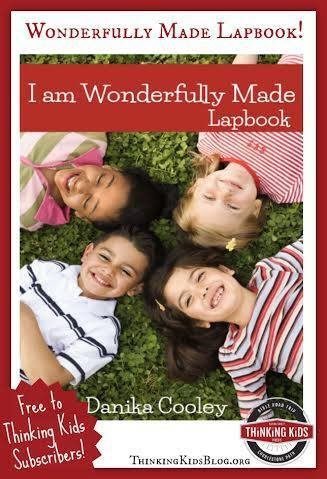 You can buy Wonderfully Made in hardback. 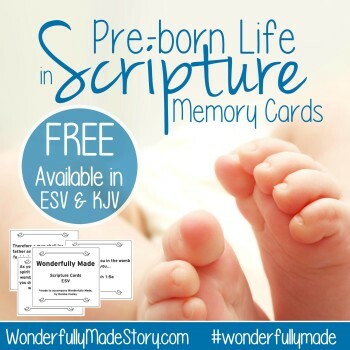 Danika also has some great FREE resources available for you to use along with the book, including a lapbook and scripture memory cards!